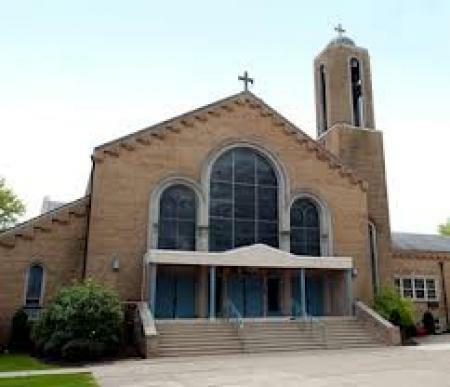 St. Nicholas Academy is located at St. Nicholas Greek Orthodox Church on the edge of Bethlehem and Allentown. They offer a variety of programs for preschool through first grade as well as extended care options. Parents enrolling their children at St. Nicholas have much flexibility when choosing days and hours. Additional days can be added as needed, hours are from 8am to 4pm weekdays. The school offers an academic program and enrichment activities each afternoon such as cooking soccer and computer lessons. St. Nicholas Academy accepts children of all cultures, races and backgrounds, enrollment is available to all members of the community. Monday & Wednesday: 9:30 a.m.-11:30 a.m.
OR Tuesday & Thursday: 9:30 a.m.-11:30 a.m.
OR Friday: 9:30 a.m.-11:30 a.m.
Tuesday & Thursday: 9:00 a.m.-12:00 p.m.
Monday, Wednesday, Friday: 9:00 a.m.-12:00 p.m. I highly recommend SNA! My daughter started in the 2 year old program and is now in Pre-K. She has developed both academically and socially. The teaching staff genuinely cares about your child. This was by far the best early learning decision I made for my daughter. My two children have flourished in this school. Both started with the 2 year old class and my oldest is now in pre-k. The teachers are so loving and just overall exception educators. This is a great community school that I would highly recommend!